When you're a new homeowner, you're constantly looking for decorating ideas for your new abode, DIY tips, and ways to save money. One of the best ways to do all of the above is to check out other people's ideas on their blogs. The following are just a few of some of the best blogs for new homeowners. From couponing tips to staining concrete, you'll find it all! Happy reading! Paula lives in North Carolina and loves to share her DIY tips on her blog. (She also shares lots of cooking ideas, as well, but we especially love her Kitchen Sink posts where she details everything from DIY outdoor serving trays to DIY front door decor. Traci is a Southern girl living in a house full of boys, and she claims to "love hammers, paint, and a hard days work." We love this post where she crafted a DIY sawhorse desk. On her blog, you can tour her home, check out her project gallery, and drool over some of her homemade treats! The Idea Room is written by Amy, who is a Lowe's Creative Blogger. We adore this DIY fireplace mantel! In addition to doing regular giveaways (who doesn't love free stuff?! ), she has projects amazingly categorized, so it's easy to find what you might be looking for. Jeff is the brains behind the Home Repair Tutor, which is "for thrifty homeowners who don't mind getting dirty." Not only does he offer tips to saving money, he'll show you how to fix your house (which makes you feel empowered). Want to know how to wire a dimmer light switch? Or repair your garden hose? Jeff has got you covered. Dadand is a blog about "DIY, how to, family, and gadgets." Pete and Marty will keep you laughing with their humor and busy with their projects. "As cheapskates, er, I mean, frugal people, we're all about normal maintenance and upkeep on anything you can maintain. Lawnmowers, cars, HVAC, and ...FURNITURE?" Stay at home dad Dave writes The Home Garden where he writes about vegetables, plant propagation, and his home garden projects. He makes even the most daunting of garden tasks (like building a paving stone pathway) seem like a snap! Studio 'g' is written by Rochelle, who shares garden design inspiration, landscape ideas, outdoor art and design, and the latest in landscape products and services. Here, she tackles a shed makeover, but she also includes beautiful before and afters like this gravel garden in Queens. 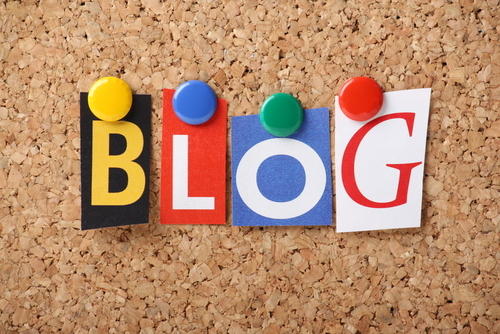 What are some of your favorite homeowner blogs? Post below in the comments!